So, the long-awaited Amazon tablet is finally expected to be announced later this week at a scheduled Amazon press event, and by law I am obligated to use the phrase “iPad killer” at least once in this post. Indeed, the anticipated device is expected to be a bit of a game changer, shaming its older sibling, the Kindle, with enhanced capabilities and entering the market at a Mac-taxless $250. (Or so we have read.) 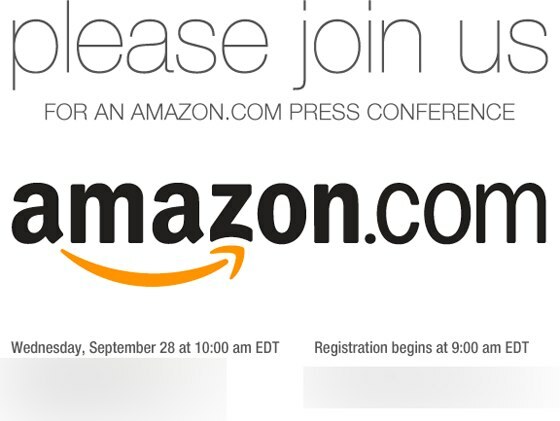 The announcement is not yet confirmed to specifically be about the Amazon tablet, but more news today seems to strongly hint that the device is what’s on the docket. “I have big news for Amazon Prime members – we’ve just signed a deal with FOX to add a broad selection of movies and TV shows to our unlimited instant streaming service later this fall. The new additions from the FOX library include 24, Arrested Development, The X-Files, Ally McBeal, Buffy the Vampire Slayer, and – available on digital video for the first time – The Wonder Years. We now have deals with CBS, NBCUniversal, Sony, and Warner Bros, and adding FOX will bring the total to more than 11,000 movies and TV shows available for unlimited instant streaming.